We’d love your help. 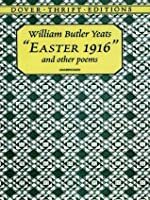 Let us know what’s wrong with this preview of Easter 1916 and Other Poems by W.B. Yeats. "A terrible beauty is born," observed the greatest modern Irish poet after his country's 1916 Easter Rebellion against the British. This streak of proud nationalism, interwoven with elements of Celtic lore and mysticism, and infused with a hard-earned wisdom, makes Yeats's works resonate to this day. His career spanned five decades, earning him the Nobel Prize in Literatur "A terrible beauty is born," observed the greatest modern Irish poet after his country's 1916 Easter Rebellion against the British. This streak of proud nationalism, interwoven with elements of Celtic lore and mysticism, and infused with a hard-earned wisdom, makes Yeats's works resonate to this day. His career spanned five decades, earning him the Nobel Prize in Literature in 1923, and he is widely regarded as the finest English-language poet of the twentieth century. This volume contains a rich selection of poems from Yeat's mature work, including all the poems from The Wild Swans at Coole (1919) and Michael Robartes and the Dancer (1921). These memorable verses, embodying subtlety and objectivity in language of stark beauty and simplicity, offer a cross-section of Yeat's multifaceted poetic production. 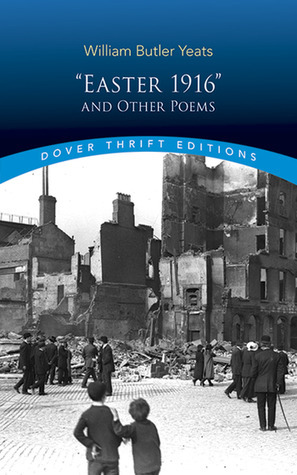 To ask other readers questions about Easter 1916 and Other Poems, please sign up. Fabulous writer. Fabulous poet. A man after my own heart. Whose poetry I love and it's so utterly beautiful. It's the Irish plight in immortal words. A terrible beauty is born. Indeed. Read for my audit of Modern Poetry (English 222). I read through some poems last Monday before class, and Isabel read me a few over the weekend. The Balloon of the Mind has stuck in my mind due to its connection with my obsession with how our ideology and mind is shaped and confined by our environment. The political poetry was a standout, and I'd love to read it a bit more closely over summer (as well as some of his other work). I want to dig into the Irish Revolution. Manage the talk until her name com round. Among the poor both old and young gave her praise." An exceptional moving volume, particularly with the poem of the title and its last devastating line: A terrible beauty is born. Other wonderful poems included are The Wild Swans at Coole and An Irish Airman Forsees His Death. A poem not in this anthology which I also love is He Wishes for the Cloths of Heaven. An amazing poet. 3.5 stars. Yeats' words are transcendent in that even now in 2017, so long after he first wrote them, I can find relevance and meaning as it applies to my own life. truly miraculous. Very conversational, colloquial, subjective and personal poem. None but Yeats. Yeats' preoccupation with becoming older and losing that spirit of youth is speaking to me. I seem to have lost my fire and don't know where I've put it. "...Oh heart / The living beauty is for younger men, / We cannot pay it's tribute of wild tears." Maybe it's just burning a little lower. Yeats' poetry reflects and enriches my understanding not only of Irish culture and the issues of class in early 20th-century Ireland (Irish boys going to war for Britain, a nation that has ens None but Yeats. Yeats' preoccupation with becoming older and losing that spirit of youth is speaking to me. I seem to have lost my fire and don't know where I've put it. "...Oh heart / The living beauty is for younger men, / We cannot pay it's tribute of wild tears." Maybe it's just burning a little lower. Yeats' poetry reflects and enriches my understanding not only of Irish culture and the issues of class in early 20th-century Ireland (Irish boys going to war for Britain, a nation that has enslaved and repressed Ireland for centuries), but of love and loss. Probably best known for his prophetic "Second Coming" - which is, don't get me wrong, a mind-blowing and, judging from the current apocalypse-baiting going on in the Middle East, not necessarily off the mark poem - Yeats' other poetry stands up well, too. He speaks on the wisdom of women, the moon as a measure of a man's life, and death. Some of the poems penetrated my emotions; others I found impenetrable. Yeats comes back to the themes of death, loss, growing old, beauty, nature and sacrifice with the luscious language that seems to be the birthright of the Irish. Yeats' poems are full of allusions, the kind of treasure hunt I love. I was surprised to find the source of other literary works: Things fall apart / Slouching to Bethlehem. "In Memory of Major Robert Gregory", which is a poem about friendship.
" Some of the poems penetrated my emotions; others I found impenetrable. Yeats comes back to the themes of death, loss, growing old, beauty, nature and sacrifice with the luscious language that seems to be the birthright of the Irish. Yeats' poems are full of allusions, the kind of treasure hunt I love. I was surprised to find the source of other literary works: Things fall apart / Slouching to Bethlehem. All, all are in my thoughts tonight being dead." In each stanza he gives a thumbnail sketch of close companions: a scholar, an enquirer, a horse man, a wood-worker, a soldier. All these shared in the "discourtesy of death." Ah, the poignancy: "What made us dream that he could comb grey hair?" The poet walks and prays that his daughter will be beautiful, but also kind, courteous, and full of merriment. A small but kindred collection from Yeats..."A Prayer for my Daughter" was particularly moving as any parent or uncle, aunt or friend might identify with having "walked and prayed for this young child an hour..." in times of sickness. His comments on the long war were simple but deeply felt-"Now and in time be, wherever green is worn, Are changed, changed utterly, A terrible beauty is born" (from Easter 1916). I think I'll read him again. It's Yeats. He's a master of image and of carefully selected, powerful words. Of course I had a good time reading this. Recommends it for: Serious poetry fans. How has Ireland managed to produce so MANY major poets? William Butler Yeats (pronounced /ˈjeɪts/) was an Irish poet and dramatist, and one of the foremost figures of 20th century literature. A pillar of both the Irish and British literary establishments, in his later years Yeats served as an Irish Senator for two terms. He was a driving force behind the Irish Literary Revival, and along with Lady Gregory and Edward Martyn founded the Abbey Theatre, se William Butler Yeats (pronounced /ˈjeɪts/) was an Irish poet and dramatist, and one of the foremost figures of 20th century literature. A pillar of both the Irish and British literary establishments, in his later years Yeats served as an Irish Senator for two terms. He was a driving force behind the Irish Literary Revival, and along with Lady Gregory and Edward Martyn founded the Abbey Theatre, serving as its chief during its early years. In 1923 he was awarded the Nobel Prize in Literature for what the Nobel Committee described as "inspired poetry, which in a highly artistic form gives expression to the spirit of a whole nation." He was the first Irishman so honored. Yeats is generally considered one of the few writers who completed their greatest works after being awarded the Nobel Prize; such works include The Tower (1928) and The Winding Stair and Other Poems (1929).